In June, 1964 Bob Dylan played an acoustic concert at Ravinia Park in Highland Park, Illiinois. Ravinia's an outdoor venue with reserved seating under a bandshell and most of the concert-goers sitting out on extensive grassy lawns. Even before Dylan came on, I was filled with the excitement and optimism so common in those days - feeling the world change for the better right in front of our eyes. Next to me an immigrant man and his grandson sat and he pointed with glowing eyes to Dylan as he walked onto the stage..."Look, my dear grandson, here is someone who will help make this world a better place." Right after the concert began, rain began pouring down and Dylan called for everyone on the lawn to come in out of the rain and under the bandshell to stay dry. People ran in from every direction – like rain. There was a celebratory energy in the liberated crowd which now sat in every aisle and every space. 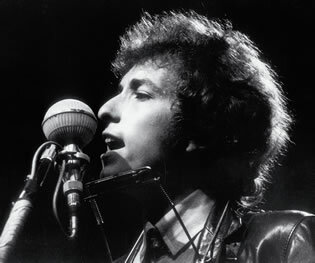 During his third song, Dylan broke a string. I was 16 then and carried my guitar everywhere. So I walked up to the stage (my friends shouting, "Lauterstein, Lauterstein!") with my guitar – a beautiful Martin Dreadnought - and handed it to him. He started his next song. Needless to say, my already uncontainable excitement overflowed - the entire concert was an ecstatic experience, especially for me, but certainly for the whole crowd. And Dylan played the rest of the concert on my guitar. To this day, pride and excitement well up in me that Bob Dylan played a whole concert on my guitar on that liberating night during that world-changing time in history. Come on people - let's keep on doing it! Singing, playing, working and changing the world for the better! With all of the holiday ornaments Ravinia's Kids Club crafted with your help, we headed down to Navy Pier to put up Ravinia's tree at Winter WonderFest. Amongst other trees decorated by organizations around Chicago, ornate, elaborate winter scenes and, heck, even an indoor ice skating rink, stands our holiday tree adorned with your Kids Club ornaments. Winter WonderFest is now open through January 2, so be sure to make your way downtown to enjoy the sights, sounds and variety of attractions that you helped bring to life with your very own holiday decorations from Ravinia's Kids Club. Get a sneak peak of what is going on at Navy Pier's Winter WonderFest in our gallery. Ravinia Festival will have a holiday tree on display at Navy Pier's Winter Wonderfest again this year and we're inviting parents and kids to help us put your creative stamp on it. Visit us at Whole Foods Market in Deerfield from 4 to 7 p.m. on Tuesday, November 9 to help us decorate ornaments. 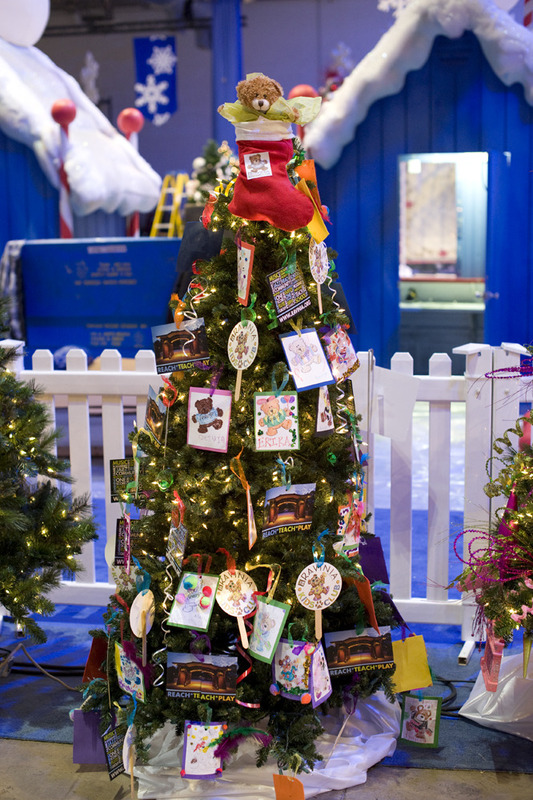 We'll be using your hand-crafted ornaments to decorate our tree on Navy Pier. Look for the Ravinia's Kids Club in the cafe and we'll help you get started. You are welcome to decorate an ornament for our holiday tree and make another to place on your own tree at home. Winter treats will also be available for participants. If you can't make it on Tuesday, look for us again from 3:30 to 5:00 p.m. on Thursday, November 18 at the Ravinia Holiday Fair located in Jen Jensens Park in Highland Park on Roger Williams Avenue between St. Johns and Dean Avenues. In addition to the ornament decorating, you will also be able to shop with the kids and see Santa. There will be plenty of free activities and holiday fun! You can see our tree on display with the ornaments you create at Navy Pier's Winter WonderFest from December 3 through January 2. Come out and help us spread the holiday cheer! If Patti LuPone is “the first lady of Broadway,” then she must be Queen of Ravinia. The multi-talented dynamo has been a major presence at the festival, dating back to the 1980s when she performed in plays like The Robber Bridegroom and The Cradle Will Rock with John Houseman’s Acting Company, but especially over the past decade when she’s won continual raves headlining an almost-annual major music-theater production. 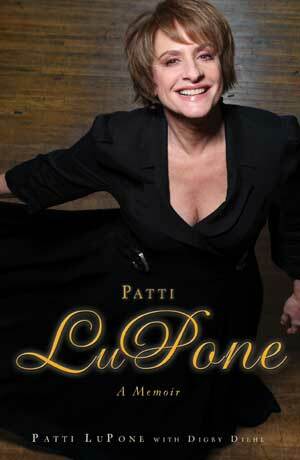 In her just released autobiography, Patti LuPone: A Memoir, the star chronicles her entire career and gives keen focus to the Ravinia projects, even citing Ravinia President and CEO Welz Kauffman as her theatrical muse. It was Welz who first connected Patti to Sondheim, casting her in Sweeney Todd for the New York Philharmonic’s production that was essentially reprised at Ravinia. It was the first of several Sondheim shows Patti would do at Ravinia, including Passion, A Little Night Music, Anyone Can Whistle, Sunday in the Park with George and Gypsy, which went on to a Tony-winning turn on Broadway. Patti’s also done her one-woman shows at what she’s fondly come to call “Camp Ravinia.” Read all about this extraordinary career in a breezy biography that’s big on heart (and dish!). “I always want there to be something new in the store when people come in every year so they can add to their collection,” Jennifer says. This shirt is contemporary, comfortable, and looks good on everyone. It’s definitely something to consider adding to your wardrobe while at the park. Jennifer describes this tote as the “SUV of picnicking.” Whether packing a picnic for a small or large group, this tote can handle it. Not only is it practical, but it’s also environmentally friendly by promoting the concept of reusing. Check it out! This adorable piece always brings the same question from customers: “Does the wine bottle come with it?” Unfortunately, it doesn’t, but Jennifer tells people to “make friends and drink quickly” in order to set up this romantic candle set. This item holds a special place in Jennifer’s heart, as it was the first item sold in the shop this season. What makes it especially cool is that doubles as a shot glass once the wick burns out! Not only is it a great item to use on the lawn in here the park, but also in a kitchen or on a patio at home. Next time you are in Ravinia Gifts, ask Jennifer to hook you up with one of these. Inspired to find your favorite things? Be sure to check out Ravinia Gifts next time you come out to the park! If you just can’t wait to get your hands on all of the great items the shop has to offer, visit us online to browse and buy at any time. Working weekends is a term that usually inspires visions of typing away feverishly at a computer, getting through endless stacks of documents and filing for hours on end – not at Ravinia. When sent out to Wrigley Field (for the second time this season!) to play road for Todd of Big Head Todd and the Monsters, I had no complaints about working on a Saturday. Todd (and I!) made the trip out to Wrigley, as he would be singing the national anthem that afternoon before the game. From then on, I can only assume even Todd, from out west in Colorado, became a Cubs fan for the day. Upon arrival, we were whisked away to the field where we snapped pictures near the dugout. I know this lifelong Cubs fan was trying her best to believe where she was. You do not get much closer to the action than on the field! After filling up our memory cards, we were led to our seats. We looked on from behind home plate, 11 rows back as Todd sang The Star-Spangled Banner. His amazing rendition was met with applause and cheers from Cubs and Reds fans alike. To add to an already perfect Saturday at the baseball game, a pair of jets flew over Wrigley Field just as Todd had finished up. Later in the evening, Big Head Todd and the Monsters made their way to Ravinia to put on an unbelievable show with their old friends The BoDeans. I made sure I was in attendance for that one, too. Yep, I love my job, even on the weekends. As one of my intern duties this summer, I was in charge of overseeing the Ravinia Kids Club, which is a free membership program for kids under 12 years old. Our Kids Club is a great program that offers discounts in the park to members and encourages kids and their families to come out to Ravinia to learn about music of many genres. From Ralph’s World to Synergy Brass, we’ve had some very exciting shows and events for families this season. Next week we’ll be doing an event that I’ve been looking forward to all summer. Ravinia will be at Lollapalooza this year! More specifically, we will be at the Kidzapalooza stage hosting a video karaoke station for all of the cool rocker kids who make it out to the park. The pint-sized rockstars will be able to choose their own song, dress up in wacky rock n’ roll gear, and get a free DVD recording of their performance. Kids 10 and under get free admission to Lollapalooza with a ticket-holding adult and there will be plenty of other kid-friendly activities. So, if you already have a ticket, consider bringing the little ones along to enjoy the artists that will be performing on the Kidzapalooza stage and also stop by our karaoke station to take home a truly unique souvenir. I’m so glad that one of my last weekends working for Ravinia this summer will be spent at Lollapalooza. I must admit, summer jobs don’t get much cooler than mine. I’ve really come to value my responsibility with the Ravinia Kids Club for what it has taught me about managing a membership program and running events. There is a lot of preparation that goes into each special program, but it’s fulfilling when it all comes together. I know the things I have learned here at Ravinia will come in handy when I return to college this fall, and even beyond then. Day in and day out, picnickers on Ravinia’s lawns settle down in their own perfect little spots to look on and listen closely to the talent before them. With all attention focused on the exciting shows taking place on stage, we wait for that one special day when the picnics on the lawn become the sights to see. That day came this past weekend when Ravinia teamed up with Rutherford Hill to name 2010’s ultimate picnic. Special guest judges from around Chicago, including HGTV host and celebrity designer, Monica Pedersen, took to the lawns to scope out participants’ extravagant displays. From piano-shaped cake to a lifesize cardboard cut-out of Pedersen herself, judges surveyed a variety of creative ways for participants to display their picnic set ups. Take the Ultimate Picnic tour by viewing the full gallery here. Participants were awarded with gifts from Ravinia Gifts, Rutherford Hill and Kerrygold. But the icing on the Ravinia cake was the grand prize – two passes to Ravinia’s 2011 season! 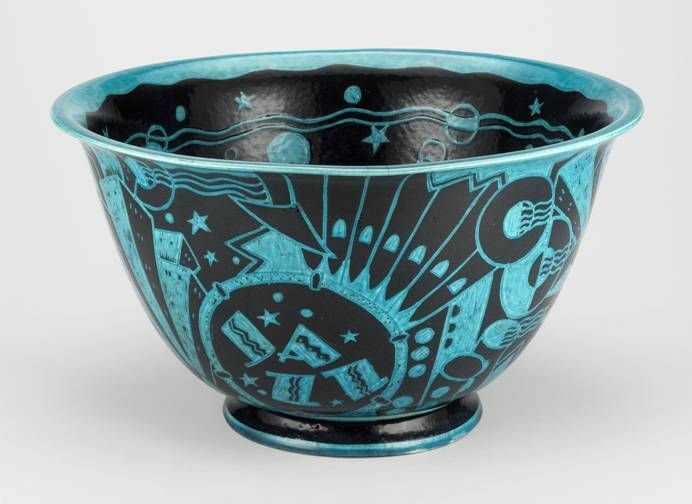 Inspired by Mussorgsky’s Pictures at an Exhibition, Ravinia Festival partnered with the Art Institute of Chicago to introduce thousands of children and the public to connections between music and art. Students listened to, performed and created original art inspired by Pictures at an Exhibition and studied works from the Art Institutes collection that were inspired by music, such as the works below. Click here to see examples of art inspired by music that were created by Highland Park middle school art students. Thousands of public school students in Chicago, Highland Park, North Chicago and Waukegan were introduced to classical music through Ravinia’s One Score, One Chicago program this year. The students learned about Pictures at an Exhibition, the 10-part work originally written for piano by Modest Mussorgsky in 1875 and then arranged for orchestra by Maurice Ravel, in three stages. Click here to learn more. ﻿ Archibald John Motley, Jr.
Ravinia Gifts had an exciting moment recently when two members of the Royal Philharmonic Concert Orchestra, who provided Sting’s accompaniment for his two night stay at the park, stopped by to purchase a few pairs of rock and roll guitar sunglasses. As if having the musicians stop by wasn’t cool enough, they informed us that they would be wearing the glasses on stage during part of their performance! Sure enough, the guys put on the groovy glasses towards the end of Sting’s set, giving the audience and their fellow performers a good laugh. It was certainly an exciting moment for the staff of Ravinia Gifts. The Chic ago Cubs holding their own against the Philadelphia Phillies was not the only thing that drew crowds at Wrigley Field last week. Ravinia took a brief break from the North Shore for a Friday afternoon in the big city – and what a break it was. Ravinia regulars and beginners alike gave the Ravinia prize wheel a spin, and lucky winners left with goodies like free t-shirts and lawn passes. We may not have been able to turn Phillies fans into Cubs fans but they were easily turned onto the Ravinia Festival. With the 2010 season just past its halfway point, many anticipate great performances ahead. See full schedule details here. 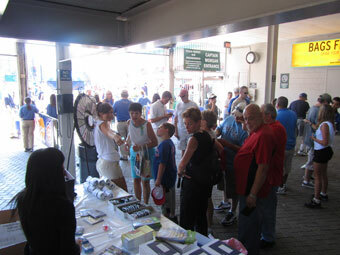 So baseball fans, if you were not able to join us last week, be sure to look for us at Wrigley again on August 7th. Just remember, here at Ravinia, it is okay to be a fair-weather fan – and, ya know, hope for temperate climates to make the most of your lawn experience! The month of September is known to bring change, with the beginning of a new season and the end of an old one. For most in the Midwest, this means one thing—the wonderfully warm days of summer will be coming to an end. We begin to prepare ourselves for what lies ahead (snow, ice, and freezing our…posterior regions off). But don’t fret! Here at Ravinia, we want to keep September hot with the Nelly Furtado Singles Mixer on September 3rd. The temperature may be dropping, but at Ravinia, this will be the hottest day of the season! We’ve teamed up with Chicago Magazine to provide you with an offer that you can’t refuse. For just $39 you will get an open bar for 3 hours with Ketel One, Don Julio, Heineken, and Seven Daughters products, delicious appetizers, and a chance to win some awesome prizes. Not to mention that you’ll be invited to the most exclusive tent party of the evening with the area’s most eligible singles. Who knows! You might meet someone pretty special. And if you don’t, you can always fall back on that fantastic open bar that you will be getting for next to nothing! Plus, after the party, you’ll be invited to an exclusive area on the lawn to watch Nelly Furtado do her thing. Avoid the hassles of bringing your own lawn chairs and let us take care of you. The party starts at 5:00 p.m. on September 3rd. Come and get your FLIRTado on with the area’s hottest singles! Round up your single buddies and BUY YOUR TICKETS NOW (they are going fast!). Just a few short months ago the 8 to 12 year old students in Ravinia's REACH Orchestra had never held a violin. This week they got to perform on their instruments during a meet-and-greet with the legendary violinist Joshua Bell, who met the grade-schoolers backstage before his July 13 performance of the Mendelssohn Violin Concerto in E Minor. One of our REACH*TEACH*PLAY initiatives, Ravinia started the El Sistema-based orchestra--an immersion program that stresses passion above technique--in conjunction with the Women's Board of Ravinia and the People's Music School. People's had already launched a student orchestra at Hibbard, called YOURS. Ninety-five student, parents and teachers from the REACH and YOURS orchestras attended the concert and three violinists from each orchestra met with Joshua Bell backstage before the performance, where Bell graciously shared stories about his earliest days with the violin. When asked about the experience 10-year old REACH Orchestra violist Freddi Mercado said, "I like the sound...it's so good!" Tony Andriacchi and I have been best of friends for a couple of decades now. When we first started hanging out, I had no idea that he was a singer. Then one day he asked if I wanted to listen to his tape (yep, we used cassettes back then). It’s a question I dread. What if he was no good—there goes the friendship. I said, “Couldn’t I just help you move or drive you to the airport?” But when I mustered the courage to listen, I discovered an incredibly intelligent vocalist with unique phrasing and a serious set of pipes. Only then did I discover that he had enjoyed a career as a headliner at such Chicago hot-spots as The Pump Room. He also had some of the best reviews I’ve ever read. So I’m very pleased that my best friend will be performing in the Martin Theatre on August 25. Last night I learned that he and his music director, Carey Deadman, have worked up 10 new charts to showcase in his evening of American standards with a 16-piece big band. If there’s anyone out there who wants a new favorite singer (or a fun new friend), don’t miss this swinging show. I’ll be sad to see the amazing musicians of the Steans Institute program for piano and strings leave this weekend. The 33 young professional instrumentalists in this program will have been here for five weeks, keeping up an intense seven-day-a-week schedule of lessons with some of the world’s greatest musicians, rehearsals, and concerts in Bennett • Gordon Hall. The performances they have given in the recent weeks are some of the most intimate, beautiful, and memorable of any concerts I’ve seen at Ravinia. In addition to the concerts, I’m a particular fan of our master classes, which give the audience a chance to witness the interaction of our young artists with the faculty. It’s a unique opportunity to get to know the musicians and the music more intimately, and I find it fascinating to consider the questions of interpretation and musicianship from the performers’ perspective. Our master class on July 8 was led by cellist Laurence Lesser, president emeritus of New England Conservatory and veteran of a long career as a performer, teacher, and administrator. These pictures show Larry working with cellist Karen Ouzounian and pianist Andrei Licaret on Beethoven’s Sonata for Cello and Piano, Opus 102, No. 1, before an audience of several hundred in Bennett • Gordon Hall. We have three master classes coming up in the program for singers, all of which are free and open to the public. Ravinia Music Director James Conlon will lead a master class on Wednesday, August 4, at 7:00 p.m. Nathan and Julie Gunn will give a master class on Saturday, August 7, at 1:30 p.m., focusing on American song. The final master class of the summer, focusing on Mozart arias, will be given by Dame Kiri Te Kanawa at 2:00 p.m. on Tuesday, August 17. So despite my sadness at the impending departure of our instrumentalists at the end of this week, you can see that we still have a lot to look forward to in the program for singers. In addition to the master classes, the singers will give four full concerts as well. More information about these performances will be posted on our website as soon as repertoire is determined. Please join us! On July 15 and 16 pianist Jose Federico Osorio will play Beethoven’s complete piano concertos with the Chicago Symphony Orchestra. Here Jorge’s wife, Sylvana, explains what it is like being married to a world-renowned pianist and how they both share a passion for the arts. People sometimes ask me how it feels to be married to a major classical performing musician, or what I experience in the audience when I attend one of his performances. I’ve been married to Jorge for 34 years, and I always get a thrill listening to him play in concert. Attending a live performance is indeed magical and exciting; each concert feels and sounds different, even if I have heard him play the same piece before. Around the house, we both enjoy listening to the radio (WFMT and WBEZ). Opera and lieder are particular favorites if we’re listening to something together, and we occasionally add chamber and orchestral music. We also like jazz and Latin American music in general. I work full-time, so it is only very occasionally that I can travel with him when he tours. However, before our sons were born, I did go along whenever possible. I have had the privilege of going with Jorge to Israel, Scandinavia, Germany, Italy, France, Spain, Poland, Russia, Turkmenistan and, of course, Mexico and several parts of the United States. There isn’t much free time when you are traveling with a musician, but you do get to meet wonderful people and sample the local cuisine! It isn’t surprising that bringing wine was the number one tip. Ravinia is one of the only BYOB venues around. Of course, Ravinia abides by all local and state alcohol laws—in other words, you must be 21 to take advantage of our BYOB policy. If you forget your wine, don’t worry! You can purchase alcoholic beverages at Ravinia’s full bar or in the Park View and Mirabelle restaurants on site. Don’t forget to bring your I.D., a corkscrew, and someone special to share your bottle! A picnic isn’t complete without one! It can be used to mark your spot on the lawn or to cuddle up with after the sun goes down. On rainy days or when the ground is wet, don’t forget to bring a tarp or plastic sheet to put under your blanket so you can stay dry for the duration of the concert. Fold-up lawn chairs are also a great alternative for those who would rather not sit on the ground. A large number our fans mentioned the necessity of the roll-up table. These are available for purchase in the Ravinia Gift Shop. Candles are a great source of light and ambiance for a picnic under the stars. Bring citronella to repel mosquitoes as well. And don’t forget to bring matches! Big, small, or hands-free, it is always a good idea to bring some kind of flashlight to Ravinia. Packing up can be hard to do in the dark, and you wouldn’t want to accidently leave something behind! A wise man once said, “You can plan a pretty picnic but you can’t predict the weather” -Andre 3000 (Outkast). Such is the case here—Ravinia’s concerts always go on, come rain or shine! Be prepared! Ravinia is an outdoor venue. Therefore, the swarming of mosquitoes is inevitable in the hot summer months. Always be prepared with bug spray and citronella candles. When the sun goes down, so does the temperature—especially here at Ravinia. Make sure you are prepared for it to get a little chilly. But if you forget warm clothes, not to worry! The Ravinia gift shop will have you covered. Literally. This is a great and practical idea! It is also a good way to cut down on the amount of litter left in the park after a concert. Concerts at Ravinia are all about the atmosphere and bringing people together. So bring a good attitude and an open mind. Arrive early with your ticket, your picnic gear, and a smile. Who knows who you’ll meet and what memories you will make! Next year’s our year, at the Stanley Cup! What an incredible day to be outside enjoying the sun and cooking up some picnic fare! 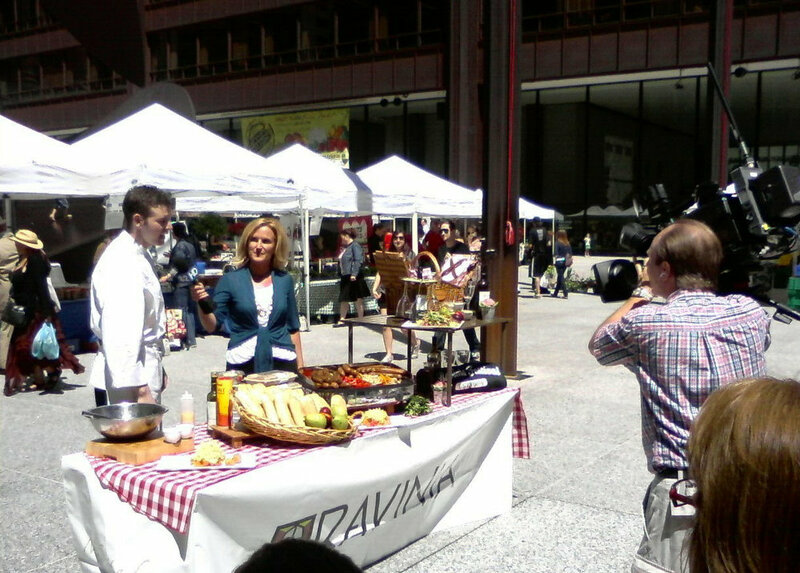 Levy Restaurants excutive chef at Ravinia, Tim Radack prepared a delicious Summer Tomato Salad at Daley Plaza in Chicago with CBS 2's Mary Kay Kleist. Surrounding the table, which also included fun picnic fare from Ravinia Gifts, was the Chicago Farmer's Market which featured fresh and beautiful produce and flowers. It's a miracle that I didn't come back to Ravinia with 5 bags of goodies. If you haven't already tried our Park View or Mirabelle restaurants in the park, you must make your way there to experience the freshest locally grown produce and incredible food before you enjoy a concert. Come join us! 1. Add diced shallots, chives, lemon juice and sugar in a bowl. Whisk until all incorporated. 2. Whisk in olive oil until vinaigrette becomes emulsified. HGTV's Monica Pederson offers some great ideas on creating the perfect picnic. Use items you already have in your own home for stylish touches to a casual picnic with layered richly colored wool throw blankets as table linens, traditional woven picnic baskets, stylish black iron lanterns with candles, and greenery. Style even a basic table by creating a beautiful no sew full length table skirt with inexpensive fabric remnants. Use tone on tone and punches of bright berry red for appetizing color and rich pattern. Large over-scaled hurricane glasses with candles, pottery and punches of green dress the table. Using unscented items such as mounded red apples or cherries and green plants gives tables a pop of color without having to use fresh flowers that may interfere with your food & wine aromas. Chicken dried fruit salad—a twist on the old standby includes dried cherries, fennel bulb and no mayonnaise! Use croissants to dress it up further. Mix all ingredients and let marinate for 1 hour. Serve on croissant. Dry fresh flavors and aromas of cherry and plum pair well with the sweetness of the dried cherries in the Chicken dried fruit salad.